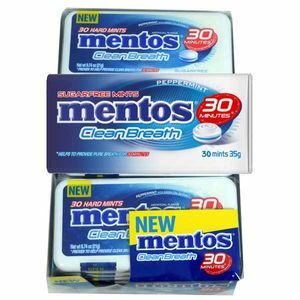 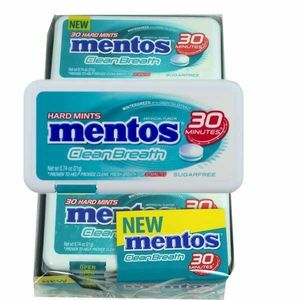 Keep your breath fresh with Mentos mints! 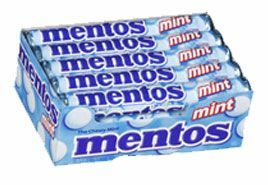 Since the 1960’s, Mentos (“The Freshmaker”) have been serving as the perfect combination of mints and candy. 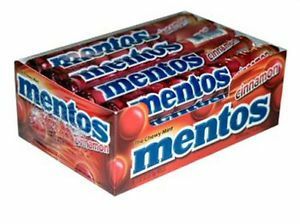 Millions are familiar with the smooth, chewy candies surrounded with a satisfyingly-crunchy coating. 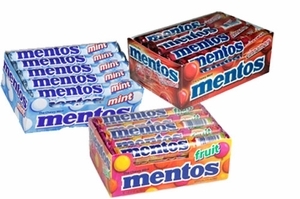 Mentos chewy mints come in rolls which are the perfect size for keeping in your desk drawer, purse, or pocket. 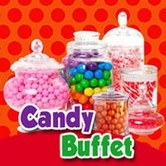 Each roll includes 14 candies. 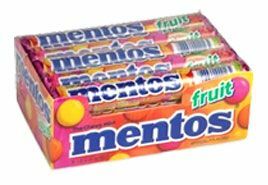 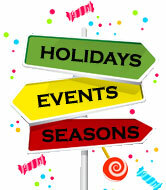 Our Mentos candy in bulk are available in cinnamon, fruit, and mint flavors, with 15 rolls per box. 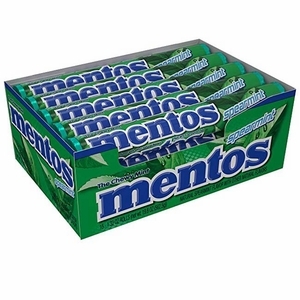 For a delicious snack and fresh breath, stock up on these delicious chewy mints!